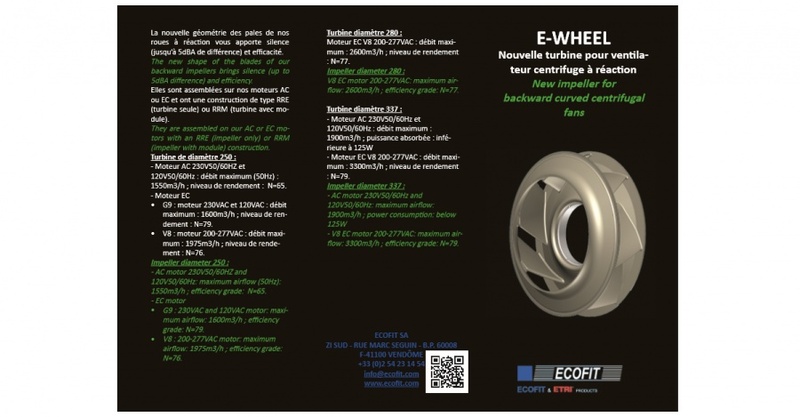 Rosenberg's sister company ECOFIT has developed a new impeller for their backward curved EC centrifugal fans. Boasting its formidable seven aerofoil design blades, the E-wheels supply a high airflow at low to medium pressure. These new blades have been engineered to reduce noise levels (upto 5dBA difference) and increase efficiency. They're available in turbine diameter 250, 280 and 337mm. To know more about these blades, please head to www.ecofit.com or ask one of our friendly team members in Rosenberg.